Oil prices surged to their highest level in over three years last week, and strategists were marveling that prices had shot up so quickly. Now prices are slumping. US crude oil futures have dropped by nearly 10% to trade around $66.50 per barrel, down from about $73 last week. Global benchmark Brent crude oil has dropped by about 6% to trade around $76, after peaking above $80. 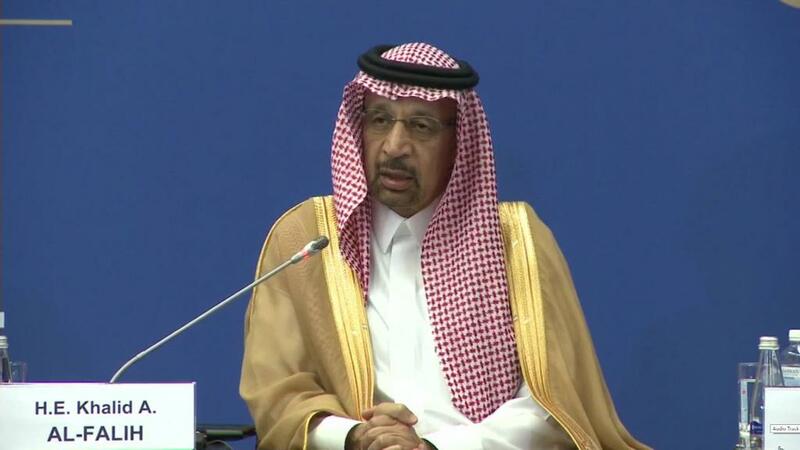 "It is the intent of all producers to ensure that the oil market remains healthy, and if that means adjusting our policy in June, we are certainly prepared to do it," Al-Falih said. Al-Falih said OPEC and Russia could supply more oil to world markets "in the near future" to make up for a collapse in Venezuelan output and the impact of US sanctions on Iran. "The impression of easing output cuts on its own is sufficient to put a cap on [oil] prices," said Hussein Sayed, chief market strategist at FXTM. "From now and until the [June] meeting, the ongoing commentary will continue to drive prices." The downward pressure on oil continued on Monday as traders considered data showing a jump in the number of US oil rigs, indicating potential growth in US production. US crude production has increased by about 25% since mid-2016 as producers look to capitalize on rising prices. Oilfield services firm Baker Hughes released data on Friday showing the rig count in North America hit its highest level of the year last week. The current global rig count now stands above the average set in 2017. The drop in oil prices is welcome news for drivers, as well as companies and countries that buy a lot of energy. For example, airlines tend to have higher profits when their fuel prices are lower. And countries like India benefit when crude prices are tamed. Oil markets hit something of a sweet spot earlier this year as prices bounced between $60 and $70 per barrel. Experts generally consider this price level to be high enough to sustain supply and low enough to sustain demand. But these higher prices can constrain global economic growth as individuals and companies feel compelled to cut their spending. A slower world economy ultimately leads to lower oil demand, creating a lose-lose situation for the kingdom.